Optimal protection and maximum freedom for every wheelchair user! Which Vicair wheelchair cushion suits you? Find your match! Vicair O2 is our latest product range innovation, transforming our most popular cushions into fully machine washable wheelchair cushions. The Vicair O2 range has excellent micro climate control, dealing with hygiene related issues such as sweat and incontinence. 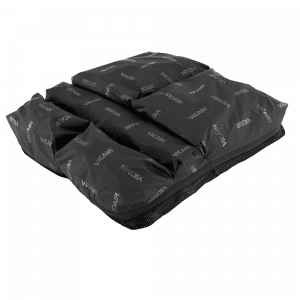 Due to increased volume the cushions have better immersive qualities, resulting in improved support. "Paralympic champions and Vicair wheelchair cushions... a good combination"
This case addresses a positioning challenge that was solved using the Vicair Vector O2 and Multifunctional back support cushion. 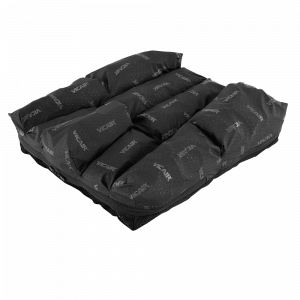 Reducing pressure ulcer incidents and saving money in staff maintenance time, by using Vicair cushions. Providing comfort & stable posture all day long, improving participation in daily activities.